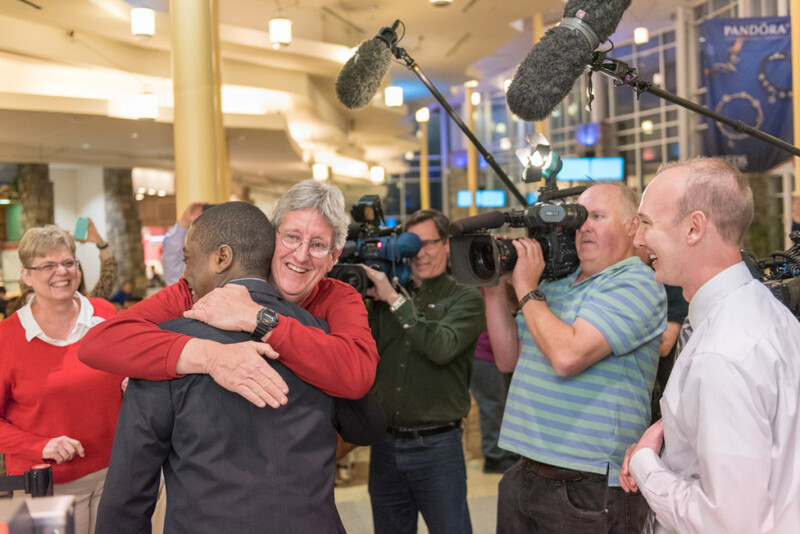 “Yasir Moore, a teen from North Carolina, went through three rounds of interviews for his first job… with the entire country standing by." Job interviews are nerve-racking enough, but how does it feel when thousands of people are following your interview process online? Yasir Moore, a teen from North Carolina, went through three rounds of interviews for his first job… with the entire country standing by. It all started when he went on the search for a clip-on tie. Target employees helped Moore land his first job. “I was getting ready for an interview at Chick-fil-A and my mom told me to dress well,” recalls Moore. In an effort to impress his future employer, he stopped at Target just before his interview to purchase a clip-on tie (at the time Moore didn’t know how to tie a real tie). As we previously shared, he was greeted by Target employees who not only helped him find the perfect tie (a real tie—not a clip-on), but also gave him helpful tips for the interview. Operator David Langston offers Moore a job at Chick-fil-A Triangle Town Center. Langston, who has worked at Chick-fil-A since he was 14 years old, knows what it takes to be a successful employee within the organization. “We look for people who have a desire to grow, an engaging personality and a naturally enthusiastic spirit.” Moore not only showcased these traits, but also dressed for the job he wanted. “Dressing in a professional matter shows that you really care about the position and are truly interested,” Langston added. But then, a smile spread across Langston’s face as he revealed—in front of local and national media—that Moore wouldn’t have to wait. He got the job. 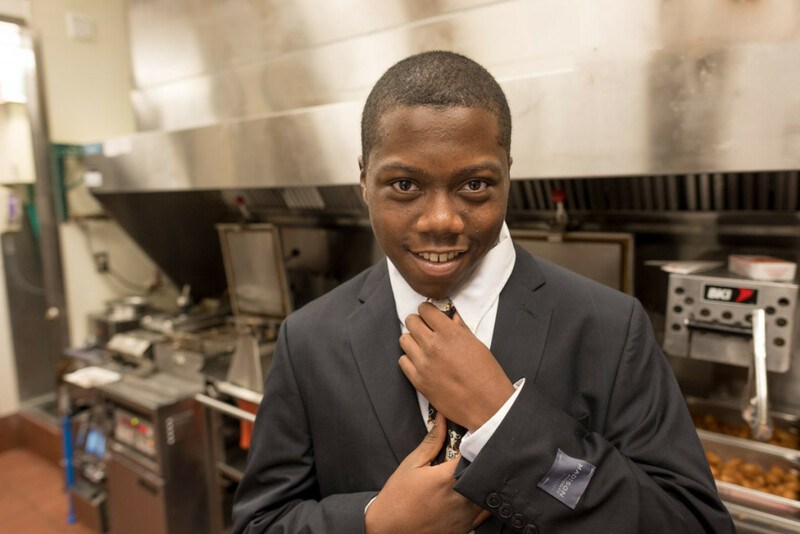 “When I handed him the Chick-fil-A tie, his smile was a mile wide,” shared Langston. Target employees congratulate Moore on his new gig.